CANDLE HOLDER ‘DISH’ Let the weight of ‘Dish’ surprise you. “This is our massive stainless steel tribute to durability. ‘Dish’ is the heart of this candle collection, the stable base of every product”. Teun Fleskens, designer WIND LIGHT ‘DOME’ Keeps the flame burning. Makes every candle stand or – holder suitable for indoor and outdoor use. Protects the candle from wind and increases safety. 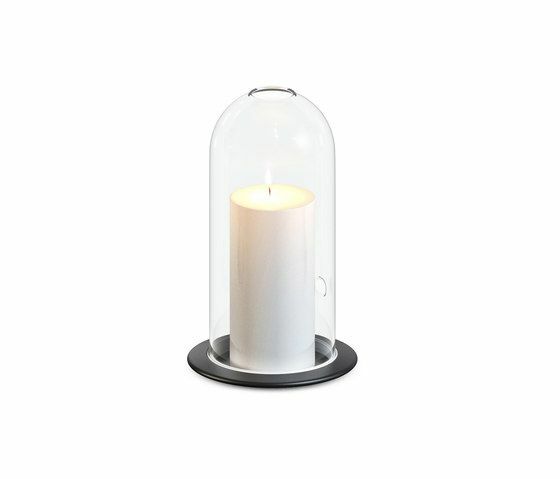 CANDLE HOLDER ‘DISH + DOME’ Brings a warm ambience on every table; indoor or outdoor. All table models are suitable for indoor and outdoor use. Both candle holder ‘Dish’ and glass wind light ‘Dome’ are available as separate products. Prices and article numbers are in the price list. THE STORY THE ENTRANCE MAKES ALL THE DIFFERENCE RiZZ is all about products that define the entrance, the central space that accommodates many daily functions and where you make your first impression.